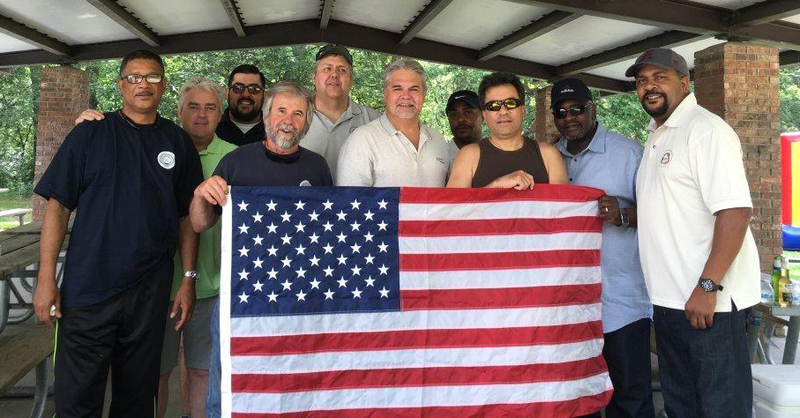 BRC Lodge 6324 held their annual picnic on June 18, 2016 at Hollow Springs, Illinois. All of the members and their families were invited. During the picnic there were bean bag tournaments, volleyball, horseshoes, raffles and door prizes, and a fishing derby for the children. In the photo are General Vice President, Donald Grissom, Unit 600 Assistant National Representative, Richard Reilly and Local Chairman, Mike Kelly, along with the local lodge officers.